Screenings are done at the Austin office from 9:00 AM to 12:00 PM and again from 1:30 PM to 5:00 PM, Monday through Thursday. We are now offering services in Waco, TX by appointment only. 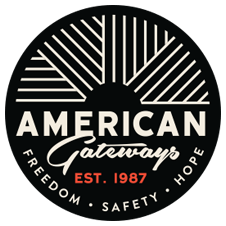 Please contact (512) 806-6531 or analig@americangateways.org to schedule an appointment. Our Austin office serves the T. Don Hutto Residential Center in Taylor, Texas. Make sure to let the intake worker know about any urgent deadlines.